Josephine O'Neill with her proud parents Eileen and Patrick. For only the third time in 47 years a Kilkenny lady has been named International Miss Macra! 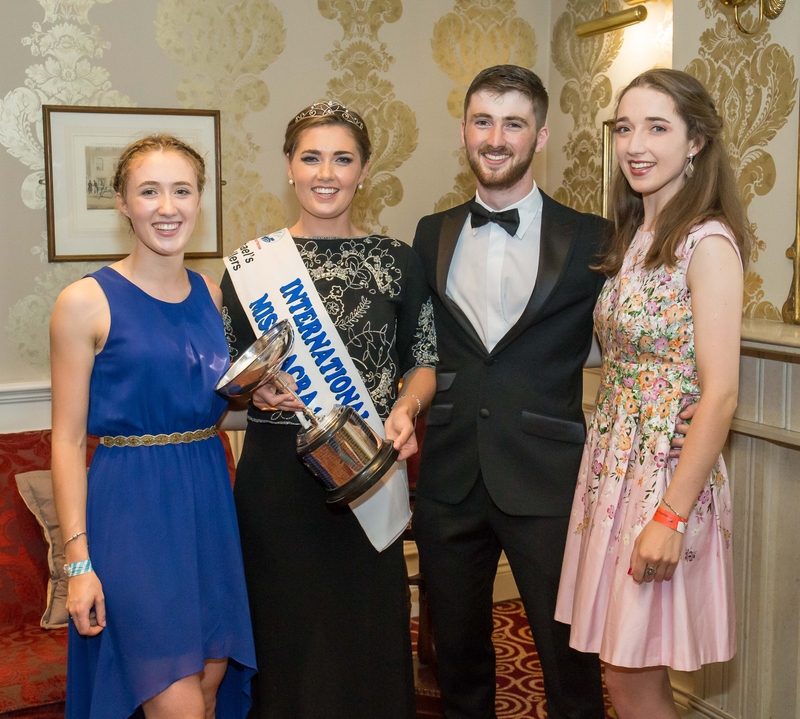 Josephine O'Neill, a member of Callan Macra, did her club extremely proud by taking the title in Thurles on Sunday night. The O'Neill family joined Callan Macra members in Thurles for the festival events, and the gala banquet on Sunday in the Anner Hotel. Josephine had the crowd in stitches on Saturday night during her on-stage interviews at The Dome, Semple Stadium, with a story about being stuck in a lift and having to be rescued by firemen, while visiting her brother in Chicago! Josephine, who is from Maddoxtown, Bennettsbridge, works as a secondary school teacher, teaching both Home Economics and Irish, in Cross and Passion College, Kilcullen, Co. Kildare. She is very involved in Macra at local and county level. She has been secretary (2016 - 2018), assistant secretary and vice president for the county and has organised many events with others like the hurling competition on the weekend of Mr. Personality, hosted in Kilkenny for Macra members from across Ireland. She joined her 23 fellow contestants, from 20 counties, to compete for the honour of being crowned International Miss Macra. Josephine's friends in Callan Macra send her congratulations, and thank everyone who travelled to Thurles to support her over the weekend!